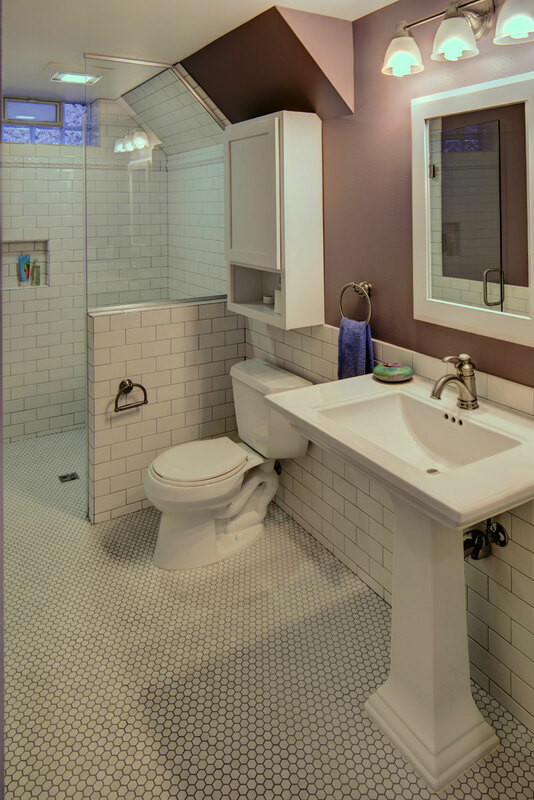 The 1931 built home had a full-height basement, but with many of the original hot water heat pipes hanging low. The boiler was relocated and replaced with a tankless on-demand heat system, allowing for a unobstructed ceiling throughout the space. 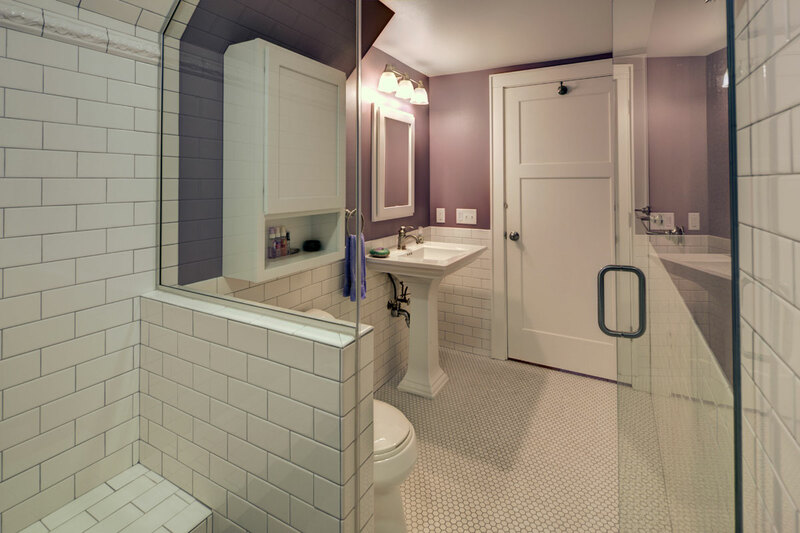 An egress window was installed, allowing great natural light to flood into a new bedroom; a walk-in closet, office nook and a three-quarter bathroom with a bench seat in the curbless shower. 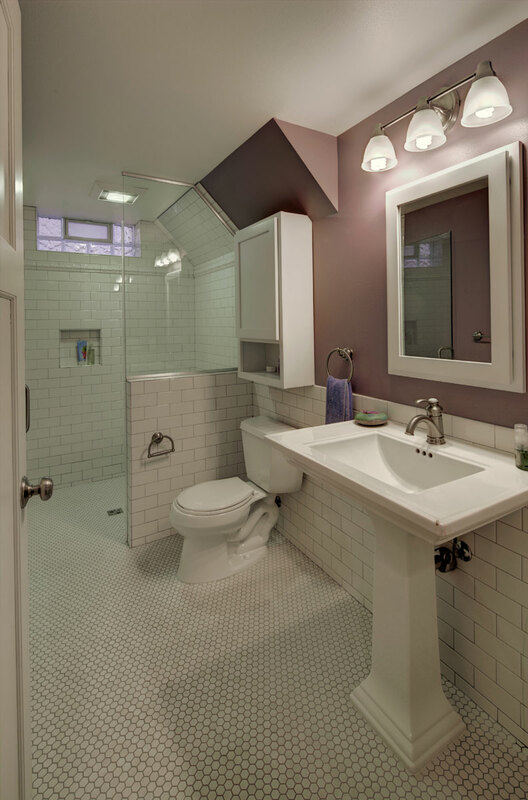 Classic subway tile and hex floor tile compliment the original bathroom upstairs.